The focus of this study is to delineate groundwater-bearing zones for the drilling of boreholes to ensure sustainable water supply in the Cape Coast municipality using the vertical electrical sounding (VES) technique. A total of 25 VES points were conducted of which thirteen (13) were test drilled. The VES survey was conducted using the ABEM SAS 1000 Terrameter with the Schlumberger configuration and a maximum half current electrode spacing (AB/2) of 100 m. The VES data were processed and interpreted using the ZONDIP resistivity inversion software. Both qualitative and quantitative interpretations were used to ascertain the best points for drilling a successful borehole (yield > 13 l per minute). The criteria used in selecting a promising site for test drilling are as follows: the nature of the curve (observing the nature of the VES curves), the overburden thickness and the bedrock resistivity. The study revealed a drilling success rate of 90% with an average borehole yield of 118 l/m. A careful review of the resistivity variation with depth revealed that areas with the increasing trend of resistivity from the overburden to the bedrock are most likely to produce unproductive wells whilst areas with decreasing resistivity trend from the overburden to the bedrock are more likely to produce productive wells. The reflection coefficient (Rc) values generally range between − 0.8274 and 0.1210 and suggest a highly fractured formation with respect to the Sekondian rocks. Within the granite, the Rc showed more competent formation with values ranging from 0.4040 to 0.6136. A comparison between the depth to bedrock as predicted by VES and the borehole logs was in strong agreement with the correlation coefficient value (R2 = 0.9089). On the other hand, the study revealed a relatively week correlation (R2 = 0.4325) between the final drilled depth and the borehole yield. 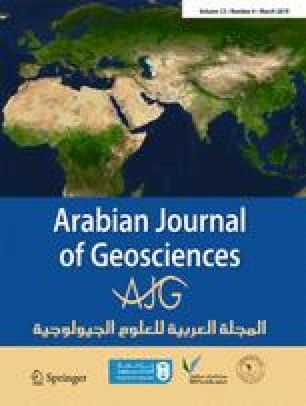 The study also finds four major groundwater-bearing zones in the terrain which range between 12 and 28 m, 31 and 40 m, 43 and 59 m, and 80 and 104 m. The bedrock resistivity values most likely to yield productive boreholes with yields greater than 13 l/m range from 54 to 845 ohm-m with a decreasing resistivity between the overburden and the bedrock. Bedrock resistivities more than 900 Ωm with an increasing resistivity between the overburden and the bedrock are most likely to be unsuccessful. Within the terrain, the average depth for drilling productive wells in the Sekodian rocks is 68 m with the final borehole depth ranging from 35 to 120 m. The study therefore has demonstrated the efficacy of the VES technique as a tool in delineating groundwater potential zones for the drilling of boreholes. The authors would like to extend their profound gratitude to the Lord Almighty for His mercies and protection. We would also like to thank the Government of Ghana for supporting this intervention project and finally to the people of Cape Coast for their warm reception during the field work.